It's that time of the week to meet another staff member. Natasha is from Darnley Island (in the Eastern Torres Straits). We asked her questions to find out a bit more about why she chose community services. RAATSICC appealed to her because of its history and what we stand for. Natasha came to RAATSICC to complete her workplace training and was ask to stay on after completing Certificate 3 in Community Services. 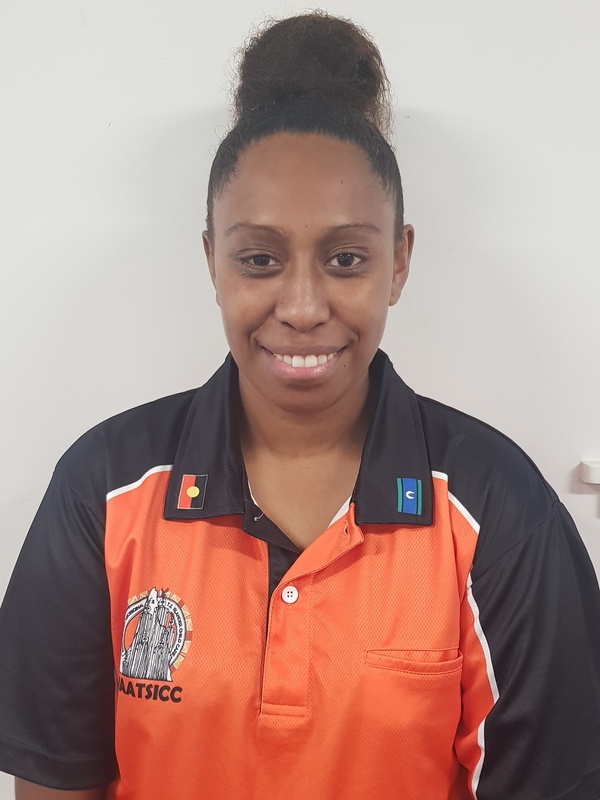 Natasha looks forward to knowing that her input in the office will help RAATSICC deliver services needed to the families throughout Cape York and the Torres Region. Family to Natasha means being whole, love, together and her vision for the families of Cape/ Gulf and Torres Straits is that they gain and succeed in life for themselves. Her something special is that she is left handed, but the best part about her is that she likes to give and make other people smile. Hope you enjoyed her story... keep a look out for next weeks staff member!